Phone, App and Earbuds Replaces Need for Expensive Hearing Aids For Watching TV Or One-On-One Conversation. With the recent passing of the Over-the-Counter (OTC) Hearing Aid Act of 2017 by US senate, 37 million people or 15% of the American adult population suffering from some form of hearing loss will soon have easier access to more cost-effective hearing care solutions. 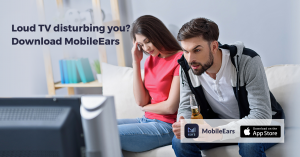 One of those solutions called MobileEars, a free iOS app that helps people with mild to medium hearing loss to hear clear speech and sound while watching TV, at meetings and conferences with just their phone and earbuds — no need for expensive extra hearing devices or complex hearing tests. The OTC Hearing Aid Act of 2017 creates a new class of over-the-counter hearing aids and allows non-prescription hearing devices and apps to be marketed to treat mild-to-moderate hearing loss. Users are able to customize an over-the-counter hearing aid themselves, without going for expensive audiologist appointments. 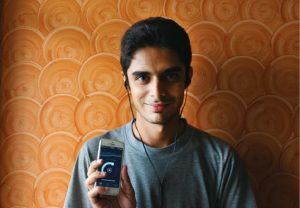 Now, smartphone technology and the Mobile Ears app allows users to self-diagnose their condition and relieve their amplification needs for free. Now, people can take one more leap and get rid of any physical hearing aid device itself. Smartphone apps that use the microphone and signal-processing power of the phone itself can function as self-fitted hearing aids when combined with consumer-grade earphones.